SKU: CS16382. Categories: Bodybuilding, Fitness. Tags: bodybuilding, natural, Stuart McRobert. 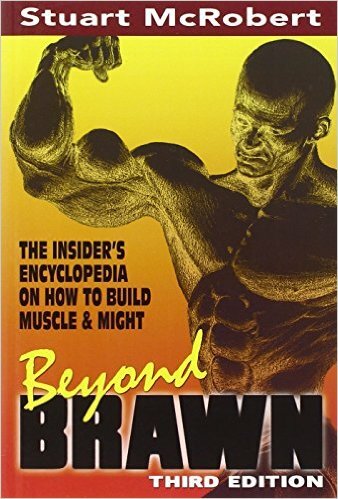 Beyond Brawn, 3rd edition The Insider’s Encyclopedia on How to Build Muscle & Might is one of the all-time finest bodybuilding books, now in its third edition. Its the same as the second edition except for hundreds of changes in the details of the content, together with hundreds of minor changes in style. As a result, the third edition is even more complete, up-to-date and readable than the earlier editions. But the substance of the third edition is the same as for the earlier editions. So, any reviews you read of the first and second editions of ‘Beyond Brawn’ are still applicable to the third edition. This is a great resource for natural bodybuilders. Beyond Brawn is 512 pages and 23 chapters of information about every facet of bodybuilding, and strength training in general. This book is not just for novices. It can save you years of wasted toil regardless of your level of training experience. It will propel you into the detailed, practical know-how needed to turn you into an expertly informed bodybuilder or strength trainee. The book will take you right inside weight training, to study the practical reality of applying knowledge. It is not a theoretical treatise, or a pack of pseudo-scientific hokum.By acknowledging the individuality of each person, this book teaches people precisely how to become their own expert personal trainers. Whether readers are male or female, beginners or very advanced, young or not-so-young, want to train at home or in a public gym, this book offers outstanding guidance. The famous deadlift cycle that Stuart did, which culminated in 400 pounds for 20 reps, is detailed in Chapter 17.